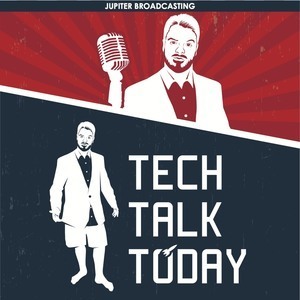 126 episodes of Tech Talk Today since the first episode, which aired on April 7th, 2015. Cambridge Analytica's use of Facebook data was a 'grossly unethical experiment' coming to light thanks to a whistleblower. We'll play his story, and discuss what they did with the data. Facebook gets punched in the face all week long, Amazon has drones that can smell fear, Telegram is ordered to hand over the keys, and some crazy folk want to make ketchup slices. The push for encryption backdoors is back on, why Valve has 1,700 CPU's working non-stop, and the big Netflix move Apple is about to pull. Tesla blames robots for their recent setbacks, Russia starts to block Telegram, Pandora discovers Podcasts, and a new design is coming to Gmail. Telegram's battle of the ban continues, and AWS and Google Cloud become targets. Google suffers from the Telegram ban, Valve is back in the business of making games, and Amazon has a top secret robot. The tragic story of Eric Lundgren, someone is trying to extort GrayShift, and scientist have buckets with living pig brains. Pocket Casts gets acquired, and we worry about "big podcasting" pushing for more data collection. The fight for Net Neutrality is back on, we round up the news from Build 2018, and get impressed by Tesla's barnacle purge. The world is freaking out about Google Duplex, new features coming to Google Photos we like and Android P promises to improve your "well being". A critical PGP and S/MIME bug is in the wild, EasyMesh promises standards Wifi Mesh networks, Zuck's in the sites, and Bittorrent Inc gets a rename. Nearly all mobile carriers are caught selling your location, and the story gets twisted. The senate votes to overturn the net neutrality repeal but there's a long way to go. OnePlus 6's specs are out, and how some guy heated his bath water with Bitcoin mining. Allan Jude joins us for a FreeBSD birthday special edition of Tech Talk.